THE OTHER DAY I was walking along the Quai Branly from the Tour Eiffel towards the Pont Bir-Hakeim, the magnificent double-decked bridge that carries traffic, pedestrians and Métro Line 6 across la Seine. Unusually for early February it was a beautiful day. It was warm, the sun was shining and all was well with the world save of course for the constant stream of traffic hurtling along the Quai Branly. I decided to escape at least some of the traffic noise by negotiating some steps down to the towpath beside the river and continuing my journey from there. This towpath is part of the Promenade du quai Branly that stretches from the Pont de l’Alma to Pont Bir-Hakeim and it follows the old railway track from Invalides to Versailles, which is now RER Line C, on one side and the river Seine on the other. 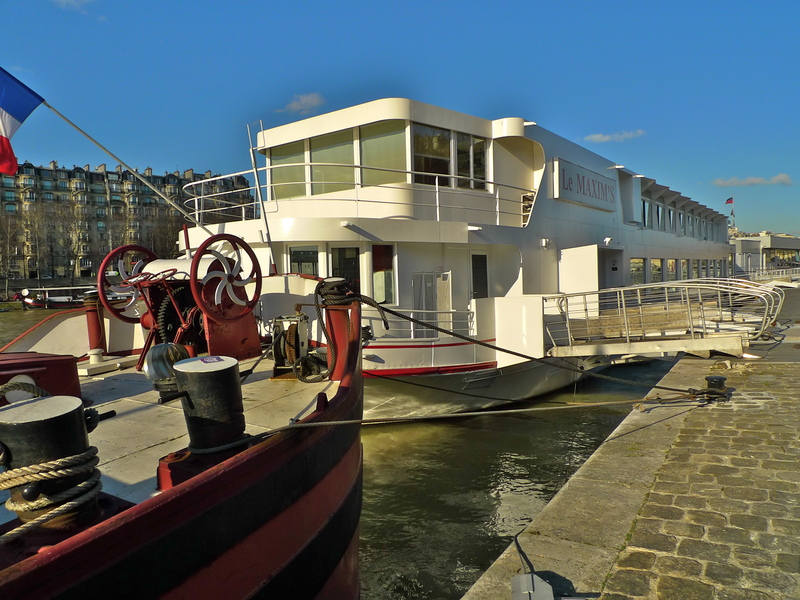 The Seine of course is a working river and so there are many boats berthed here along what is known as the Port de Suffren. As I walked along the towpath my attention was drawn to these two boats. 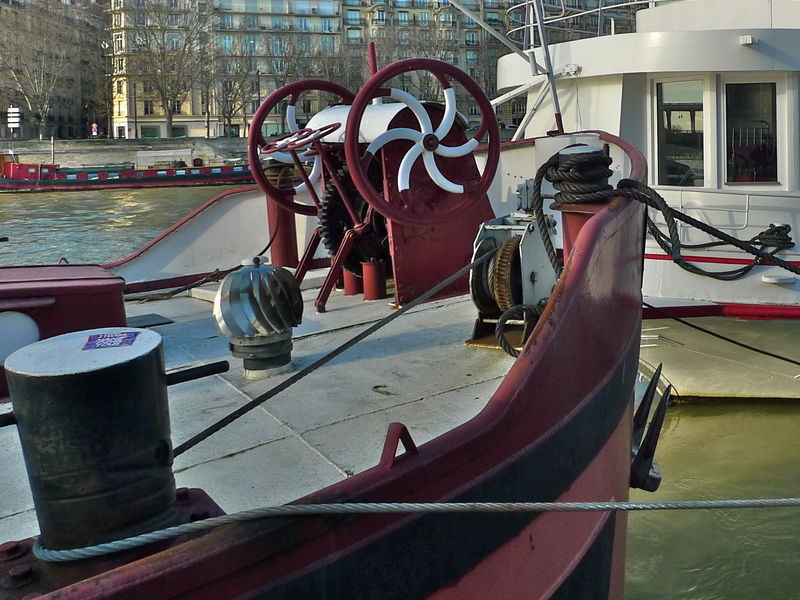 The larger of the two, the white one, is Le Maxim’s, one of three Bateaux Maxim’s owned by the legendary Maxim’s de Paris. The other boat is a working barge. It wasn’t the sight of these boats that attracted my attention but rather their sounds. The two boats carried by the waves were rocking gently back and forth with each straining at its moorings. It seemed to me as though the two boats were having a conversation; the flighty, high-pitched, sounds from Le Maxim’s being tempered by the more sonorous interjections of the barge straining against the wire hawser stretched over its bow. Even the ever-present traffic noise from the quai Branly above and behind seemed to be partially mitigated by their conversation. There were many people walking along the towpath on this sunny afternoon but none of them, save for me, stopped to listen to or even seemed to be aware of this nautical chorus.